Located in Huntington Beach, Autowerkes has been performing Porsche repairs since 1980 for clients living or working in Huntington Beach, Fountain Valley, Newport Beach, Seal Beach, and surrounding Orange County cities. Bruce Powers, owner, and president of Autowerkes is an active member of a Porsche club and the day to day operation of his auto repair shop. Moreover, he and his teammates will provide you and your Porsche with the highest quality auto repairs and personalized service possible. Also, having a reputation for getting the auto repair done right the first time, giving courteous and professional service and building customer loyalty and trust has allowed the company to grow year after year. High performance requires a high demand for Specialized shops. Due to recent achievements in technology, it is vital that technicians attend continuous training programs to stay ahead. This is why coming to a shop that specialized in German Luxury vehicles like Autowerkes is important. Our state of the art tools enables us to link up to Porsche vehicles for troubleshooting and/or programming. In fact, we tackle all areas of Porsche repairs from routine services, air conditioning, and electrical repairs, to engine and transmission repair work. In addition, the Autowerkes staff attends continual training and education to keep up with all the latest systems and operation in Porsches. When you bring your car to our shop, it’s not only being evaluated and serviced by the advanced equipment, but your vehicle also receives service by a team of Master Technicians with over 3 decades of experience specific to the brand. Stellar personalized service, complimentary mini auto detail, and pickup and delivery are just some of the benefits when getting a Porsche auto repair or maintenance service performed at Autowerkes in Huntington Beach. In addition, we strive to maintain the highest standards in all areas of the shop and personnel. Furthermore, if you have any Porsche repair question or any other automotive related question please feel free to call or stop by the shop. We look forward to seeing you soon to give your car the maximum performance. As Consumers, we want to speed everything up. When it comes to your brakes, you must have an optimal Brake System to accommodate these advancements in speed. Porsche has upgraded the brake system of the new 911 to match the increased power output. The 911 Targa 4 is fitted with newly developed four-piston aluminum monobloc fixed calipers. All brake discs have a diameter of 330 mm. The S model is equipped with red six-piston aluminum monobloc fixed brake calipers at the front and four-piston equivalents at the rear. The brake chambers at the front axle are now made from aluminum. Brake disc diameters are 350 mm at the front, 330 mm at the rear. 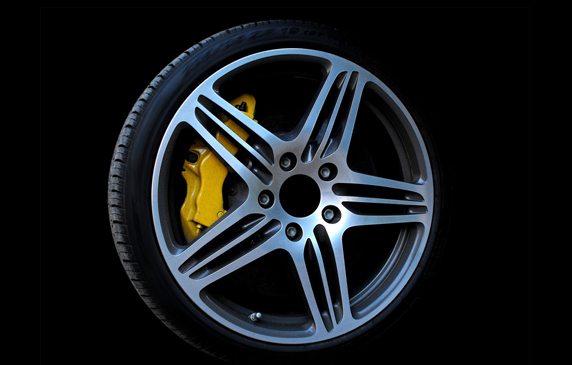 For enhanced stability and braking performance, all models have brake calipers and an enclosed monobloc construction. This makes them tougher but lightweight. It also enables a more rapid response, precision, and release of the brake, even under extreme loads. The brake discs are cross-drilled for improved wet braking and superlative cooking. The notably Yellow Porsche Ceramic Composite Brake (PCCB) is available as an option on the new 911. PCCB allows shorter braking distances in even the toughest road conditions. Safety under high-speed braking is also improved thanks to its optimum fade resistance. Another advantage of PCCB its light weight of the ceramic brake discs, which are about 50 % lighter than standard discs of the similar design and size. The result is better road holding and comfort, as well as greater agility and a further improvement in handling. Porsche Engineers always have redefined the limits of engineering with Intelligent Performance. The Engine has undergone continuous development, though the concept has remained unchanged. When it comes to the Porsche 911, the engines were air-cooled up until 1998. A major change happened with the engine’s design when they introduced a water-cooled flat-6 engine. In 2000, Porsche launched the Turbocharged version of Type 996. The new Turbo was only available with all-wheel drive and was clocked at 414 hp. Fast forward to 2014, The Turbo goes from 500 horsepower to 520 hp. The S gets 30 more horsepower for a total of 560. With some much innovation and engines improving every year, it is important for technicians to not only stay up to date but stay ahead of the competition. At Autowerkes, we have specialized in Porsche Automobiles in order to provide Premium Service to our customers. With over 36 years in Business, you can trust the tech at Autowerkes. Porsche over the years has undergone several advancements in their manual gearboxes. Until the arrival of the Porsche 911T in 1968, the 911 used a five-speed gearbox. However, the base level ‘T’ used a four-speed shifter, while the 911L and 911S shared the five-speed gearbox. As time went on, a six-speed gearbox was first seen on the Porsche 993 Carrera. Once they developed the Porsche 996, the six-speed gearbox was standard, however, a new gearbox was required to fit the water-cooled M96 engine. That era ended with the current 991 generation came with a seven-speed manualPDK’s casing. PDK is an acronym for Porsche Doppel Kupplungs Getriebewhich translates to Porsche double-clutch transmission. The 7-speed manual transmission combines a high level of sporty performance with fast gear changes. This ensures optimum engine speed for every downshifts. With the addition of the upshift indicator, the instrument cluster helps you to conserve fuel. 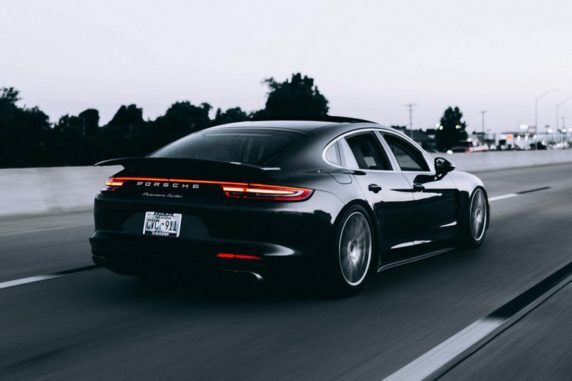 Here at Autowerkes, we make sure that your high-powered Porsche is ready to take on the road ahead. Ask to speak to one of our Factory trained Technicians if you have any other questions about Porsche at (714) 842- 2277.